2019 hops for home brewing begin with stringing, getting it in place ready for them to climb up in April. 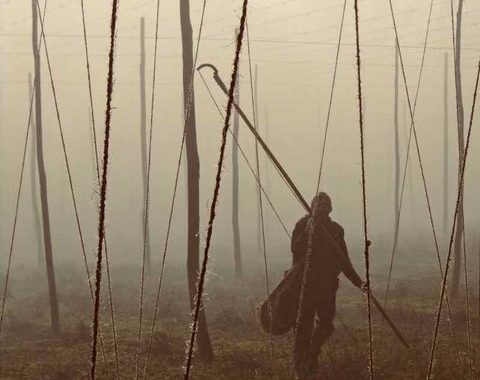 Hop stringing is like the first page of a new notebook. 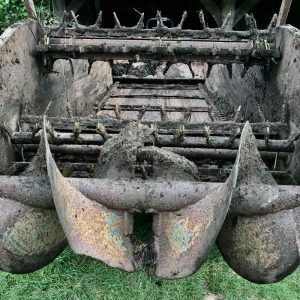 Who knows what 2019 growing season will be like, all we know is it is ahead of us, it’s a clean sheet and as always it’s exciting. 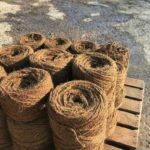 First coir yarn is soaked, it stretches slightly when wet, imperceptible over a short length but over a long distance it is noticeable. By putting it on wet it tightens as it dries but prevents stretching in situ during rain. The weight of the hops as they mature and get heavy encourages this too. Stringing is soothing to watch, there is a gentle rhythm to it. It’s a knack and like riding a bicycle once learnt you never forget how to do it. Up down, knit one purl one, always careful not to drop a stitch. 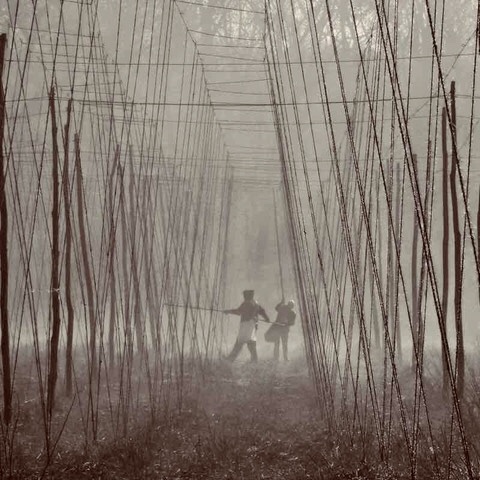 So preparations for growing 2019 hops for home brewing begin with stringing and just like each hop season before it, there is pleasure had working with the seasons. there are never two the same. This portfolio of photos was last month in mild weather, 2018 by contrast was cold. Next job banding-in. 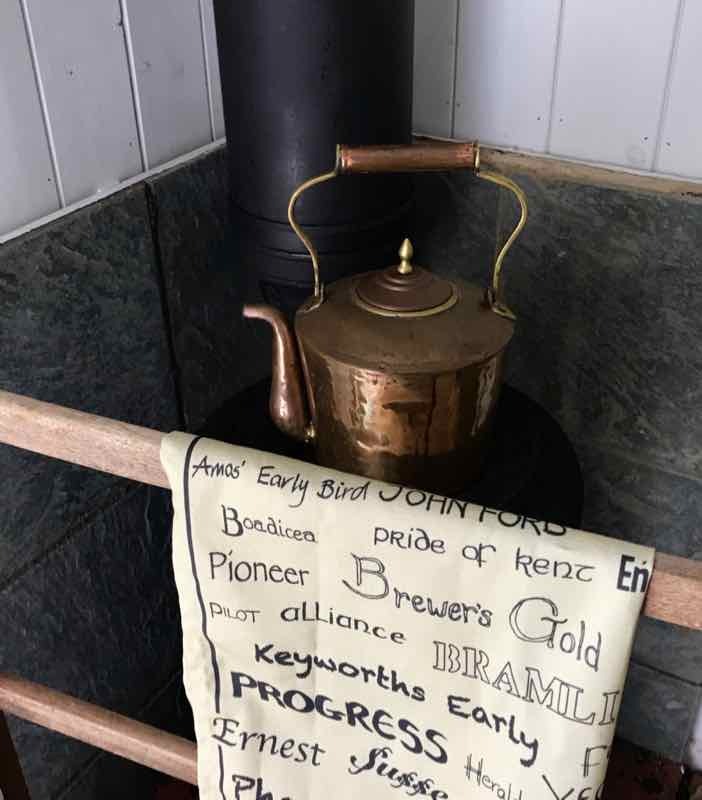 Goldings hop variety for brewing dates back to the late 1700’s when Mr Golding found a hop he thought was something special. 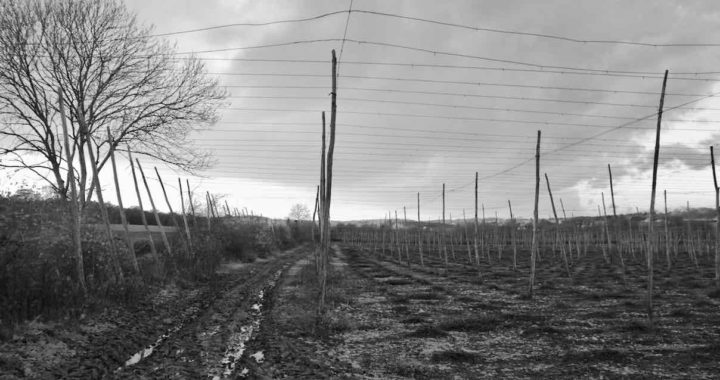 Today this variety is still one of the most famous and quintessential of English hops along with Fuggles. Goldings is not one single hop variety but rather a family of almost identical sisters from Kent, with a strong family resemblance. Mathon is the exception in that this Golding heralds from the Hereford/Worcester hop growing region. 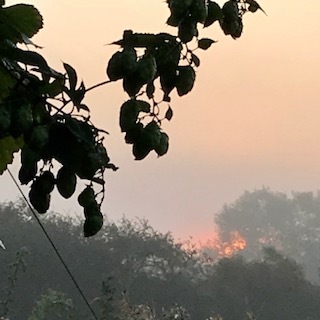 Each individually named Goldings hop variety for brewing generally got it’s name from the person who found it or the place where it was grown. 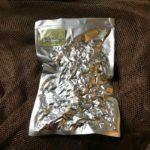 The Goldings family range across the harvest season, from early, mid to late season hops, this extension is very useful for the growers, but whether they are early or late, they all have one thing in common and that is their amazing aroma. It’s a distinct but very pleasant spicy bouquet underpinning the rest of the Golding aroma’s top notes, which will give smooth sweet honey, earthy, spicy flavours to a brew. Add in a little citrus with some floral notes, an occasional waft of lavender, to see why this superior hop variety is so delicious. 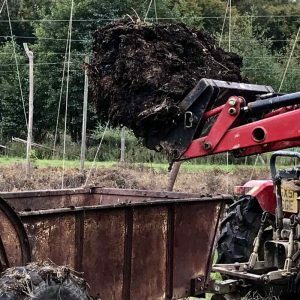 In this article on his blog Martyn Cornell gives a more in-depth article about them and lists some of his favourite beers using Goldings hop variety for brewing. East Kent Golding (EKG) is the most well known and sort after member of this Golding family. It stands slightly apart because it has also been granted a Protected Designation of Origin. The EKG is the only British hop variety to be granted this honour so far. 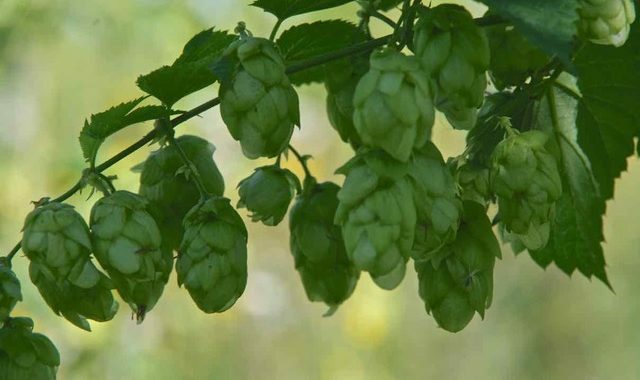 They are the archetypical go to English hop, along with Fuggles and used world wide for late hopping as well as contributing a respectable bittering to the brew. However, EKG is a distinct variety and considered just a bit superior when grown and harvested within this compact designated area of East Kent. 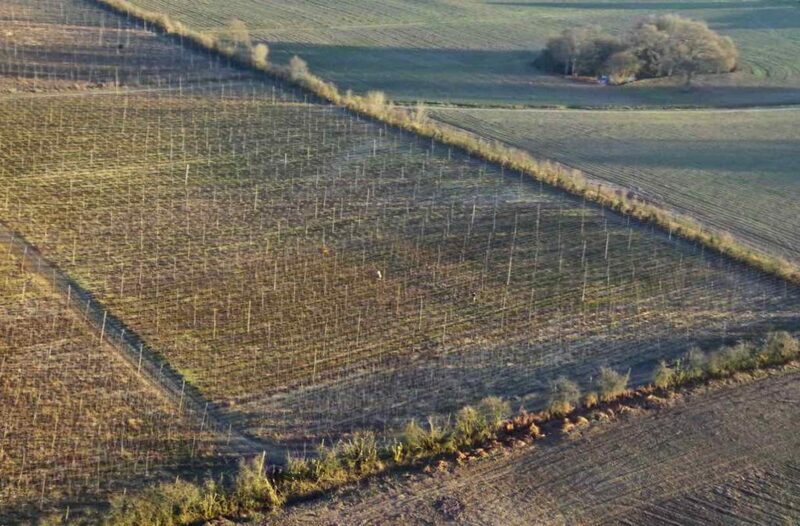 The soil type and climate there provide the ‘terroir’ to produce this world class hop. 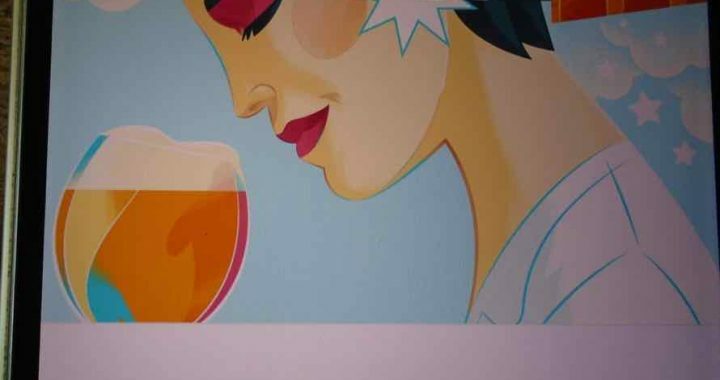 It is mainly used to brew Pale Ales, American Pale Ales, Porters, Barley wines and and as I understand it, they are used in many Belgium Beers as well. Kentish Ale and Whitstable Oysters have also been granted this same Protected Designation of Origin, so Kent then is Oysters, Hops and Beer! Close enough to Charles Dicken’s quote – ‘Kent, sir—everybody knows Kent—apples, cherries, hops, and women’. 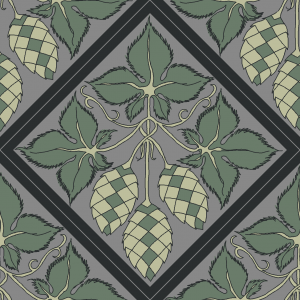 Continuing the ‘If hops were people’ series, then Goldings are the refined girls with naturally lovely characters. ‘Classy’ probably best describes them and nothing to do with being upper or lower class, they’ve just have charm! If they went to Finishing school then they excelled, they are socially confident. These are truly lovely girls are genuinely ‘nice’, so even if you tried, there is nothing to dislike. They are positively not sweet sycophants. 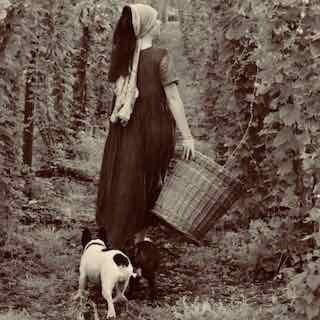 Of course East Kent Golding is Queen Bee of the Goldings, her pedigree like other Goldings can be traced back to the late 1700’s to the Canterbury Whitebine but the Protected Designation of Origin has helped secure her status. However, this Goldings charm belies a tougher inner core, that refined Goldings hoppy spice character gives us a clue to this inner no nonsense sparkle, after all they are Mother’s to some better known offspring. 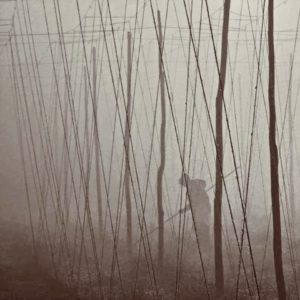 How many people have specifically brewed with Petham Goldings, but they will be sure to have heard of her infamous daughter Chinook. 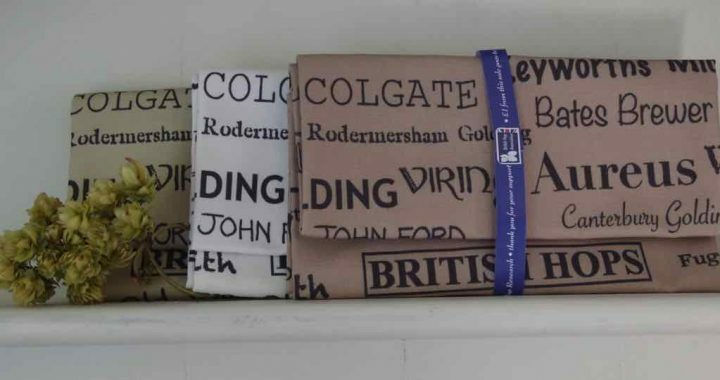 Other examples of this extraordinary family group, Canterbury Golding is mother to Northern Brewer, Bates Brewer to WGV, Bramling is the mother of Bramling Cross and Eastwell Golding is the Grandmother of Target. Examples of these kind natural charmers, well Holly Willoughby certainly, Mel Giedroyc absolutely and Joanna Lumley pure EKG! Drying hops is where a golden alchemy happens. 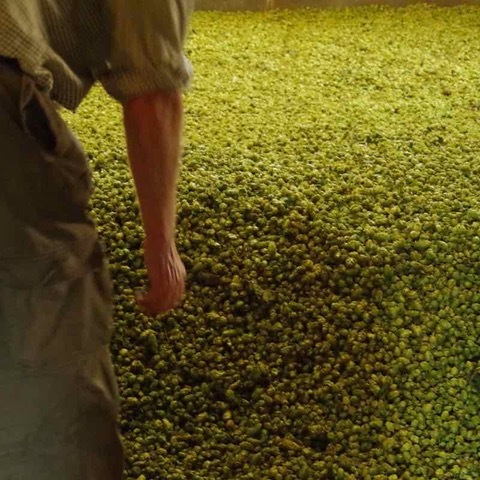 To be completely accurate hops are preserved, they are not dried right out. 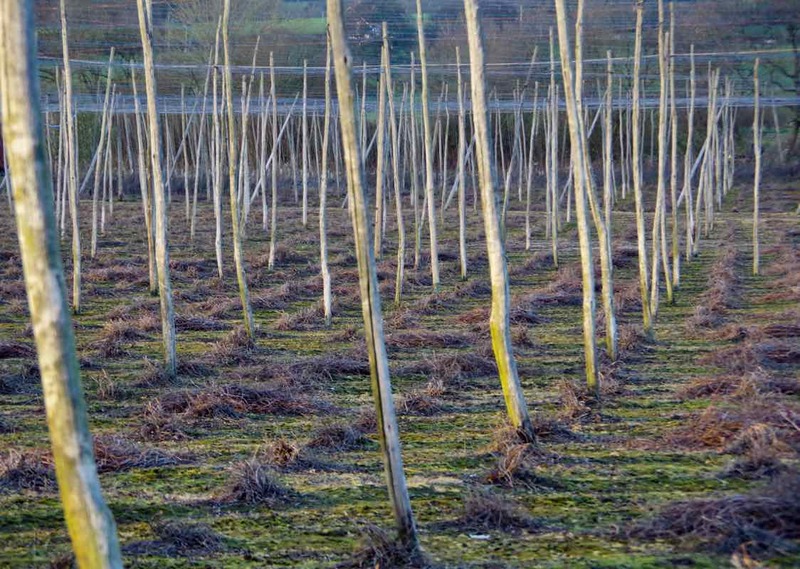 The final moisture content at between 8-12% will dry each cone enough for it to store well, and not go mouldy. 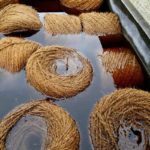 Drying takes time, it cannot be rushed, hops are not a fast food and the less heat used the better for the essential oils. 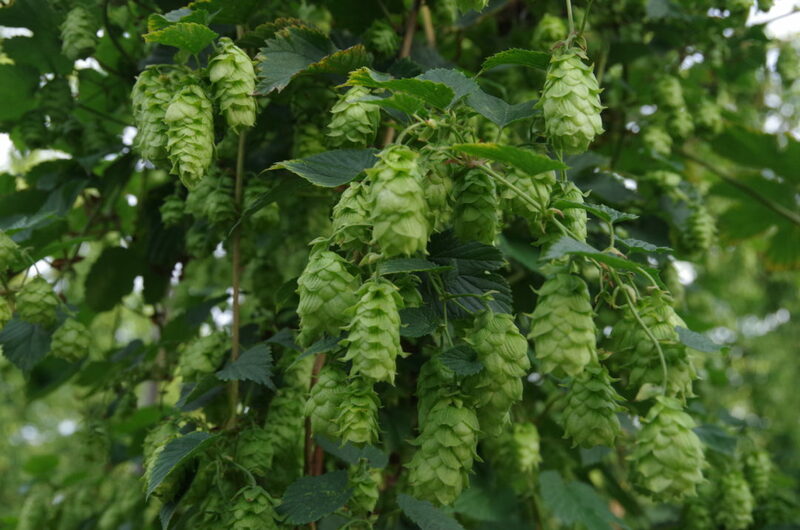 The other factor is hops are sold by weight so if they are dried right out, which can happen, then a grower would be at a disadvantage, this is apart from the obvious storage needs of the hops. But for me it’s this process from green hops to preserved hops, this magic of drying hops is where a golden alchemy happens, even their colour becomes more golden. 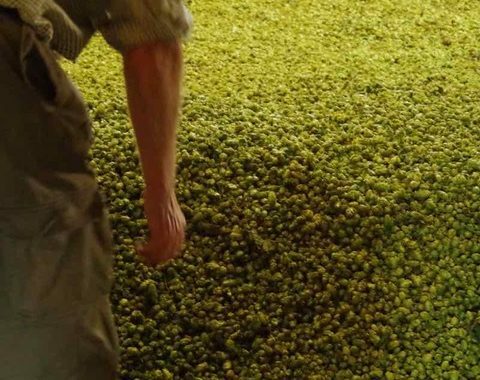 The green hop aromas of the herbal based fresh scents change dramatically to the more soporific complex aromas. Spicier, piney, citrussy, fruits and honey, depending on the variety but too many to list straight off. 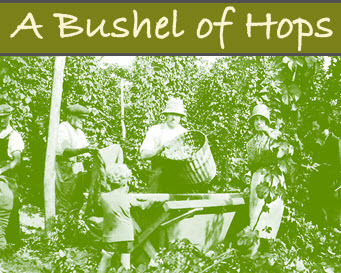 Hops have been grown on the family farm since 1600’s. In all this time each hop dryer has passed on his craft to the next dryer in waiting. Each dryer would have undergone a long apprenticeship before naturally progressing to No 1. 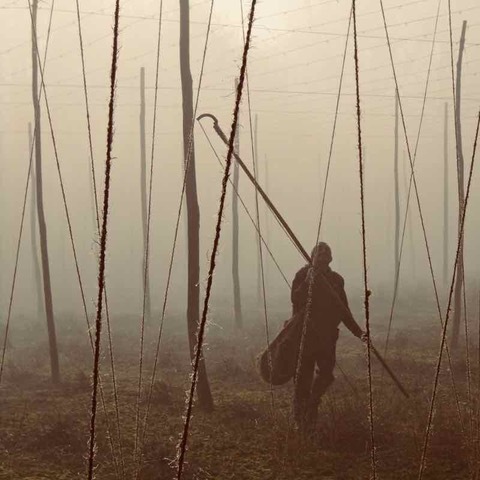 As the hop harvest only takes place once a year for a few weeks, unlike almost every other job, so the apprenticeship was normally combined with growing the crop throughout the year. This continuity has sadly changed today as most people come and go. Nowadays moisture metres, and gauges are requisite for growers but nothing can replace living this hands on apprenticeship, learning directly from another experienced grower. It takes time for a person to instinctively see and understand the small tell tale signs on a kiln. Whether the hops need another 1/4 hour or the heat needs to be altered or when a certain kiln may blow a hole. Each kiln has it own peculiar anomalies, as does each hop variety. So what looks like nothing much happening when a dryer puts his hand into the hops on the kiln nothing could be further from the truth. He will instinctively be reading the load, he will feel the bottom of the load, the top of the load and how many fat strigs are present, registering how pliable they are etc. There are many little signs he will automatically be assessing. 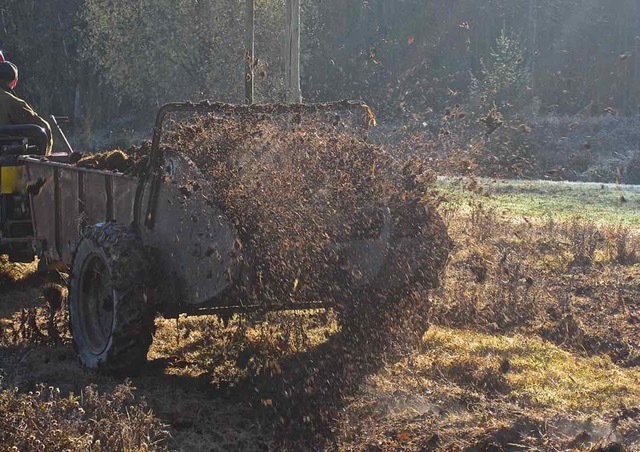 A whole year’s crop can be spoilt if the hops are not dried properly, the dryer’s job is critical to success. 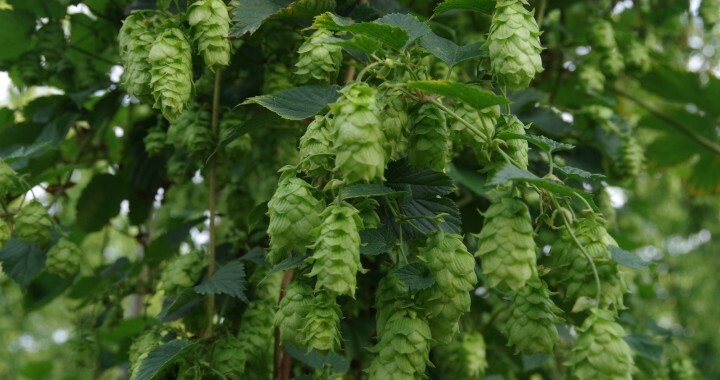 You can read more about hop drying here. Stuck for beer lover’s gift ideas for Christmas. 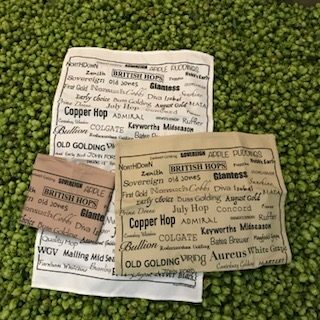 We have our second run of the British Hops tea towels which means we can pass on the lower price of £9 each or £24.00 for a pack of 3. 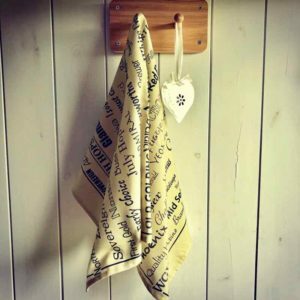 If you want a little stocking filler for the beer lover or home brewer in your life, this could be ideal, just right to hang up in the brewing room, shed or polish your glasses. Wrap up that bottle of beer to make it an even more special gift. 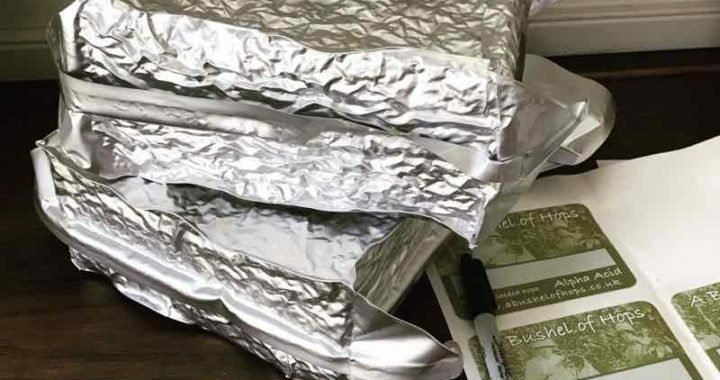 Sustainable wrapping paper, nothing to throw away! 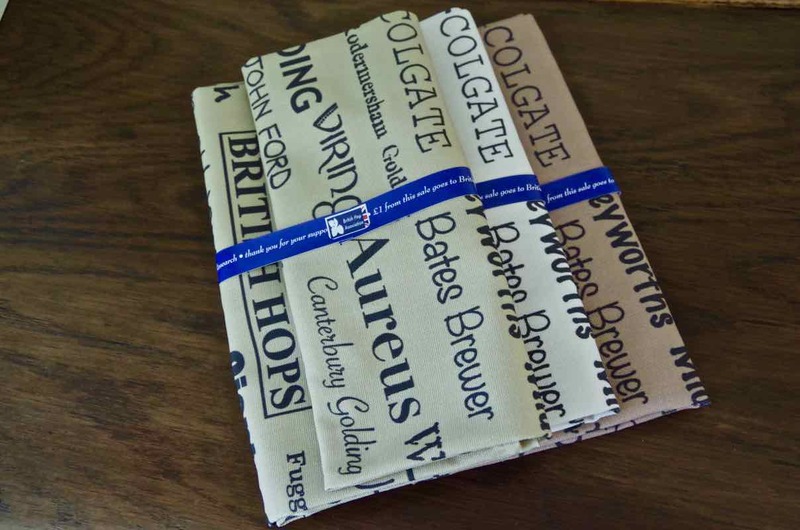 They are 100% cotton, printed and made in UK and even better a donation from each sale goes to British Hop Research. 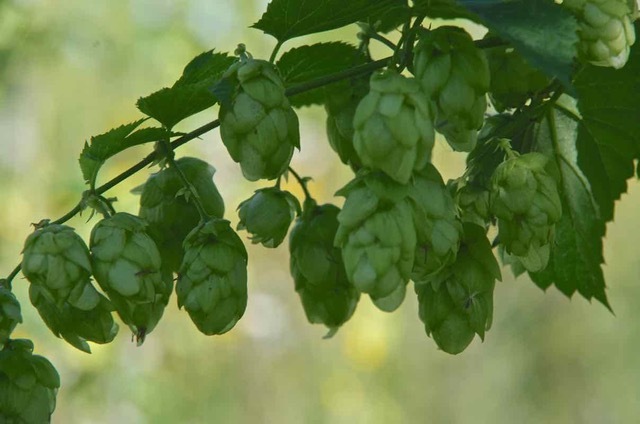 Other beer lover’s gift ideas for Christmas are our of course our home grown hops. 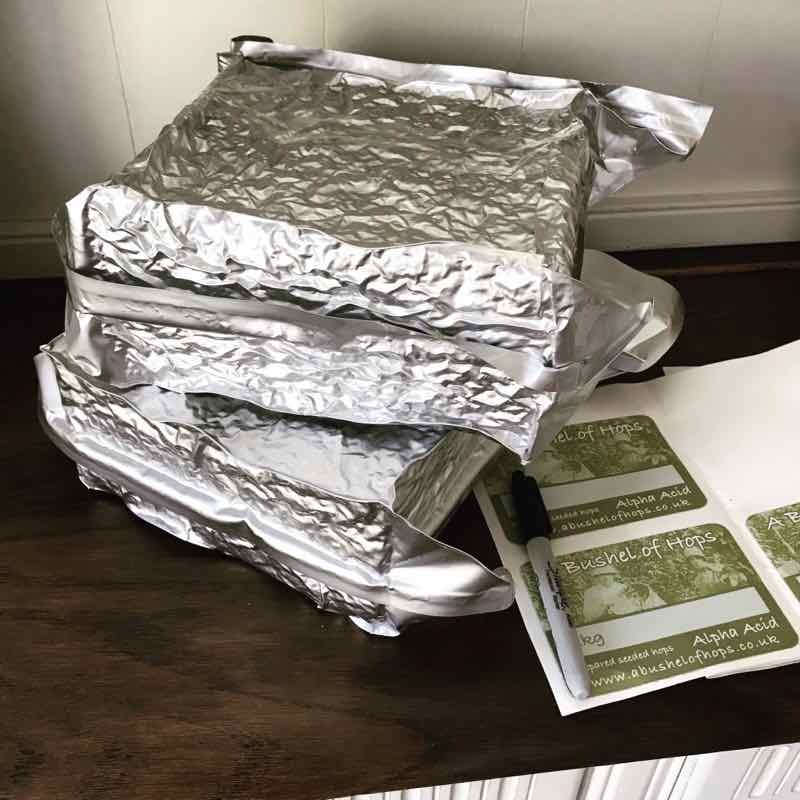 Available direct from the farm, in 1Kg blocks, these vacuum packed blocks are ideal for the keen home-brewer or a brewing group who wish to share. So hurry if you want one of these, they offer great value and we only have few left. We also have a 500gm pack option available in a few varieties, if you have a favourite hop variety then these too offer better value. Then of course there are the 100gm vacuum packs perfect for popping in a freezer ready for 2019. Remember this year our shop closes on 21st December for the Christmas break so if you are wanting to brew over the Christmas holiday then do please order in good time. I am tickled pink and honoured to be included in the new issue of Original Gravity Magazine. 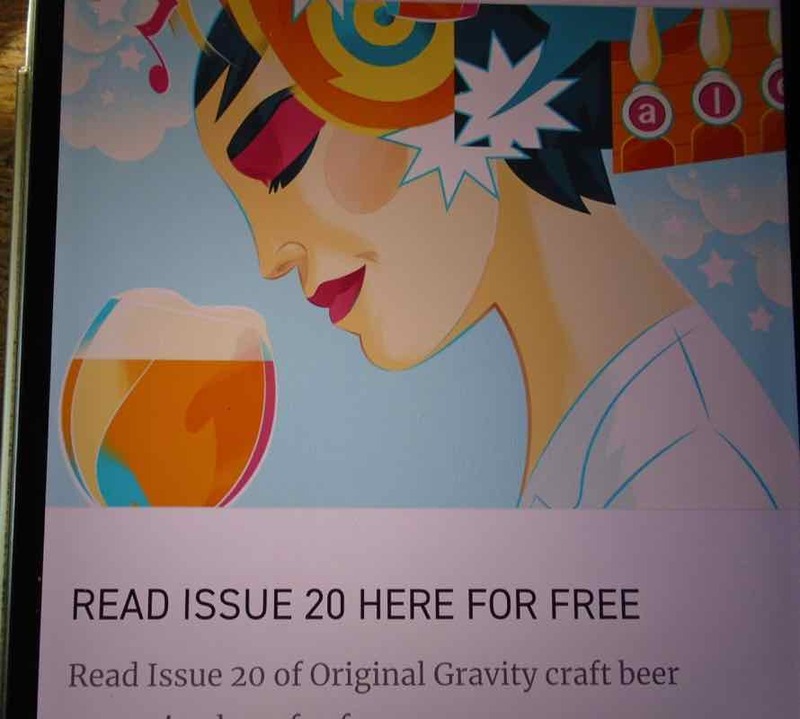 This fantastic magazine has articles by prominent beer writers, so you can keep informed on all that’s brewing. And better still you can read it free here. 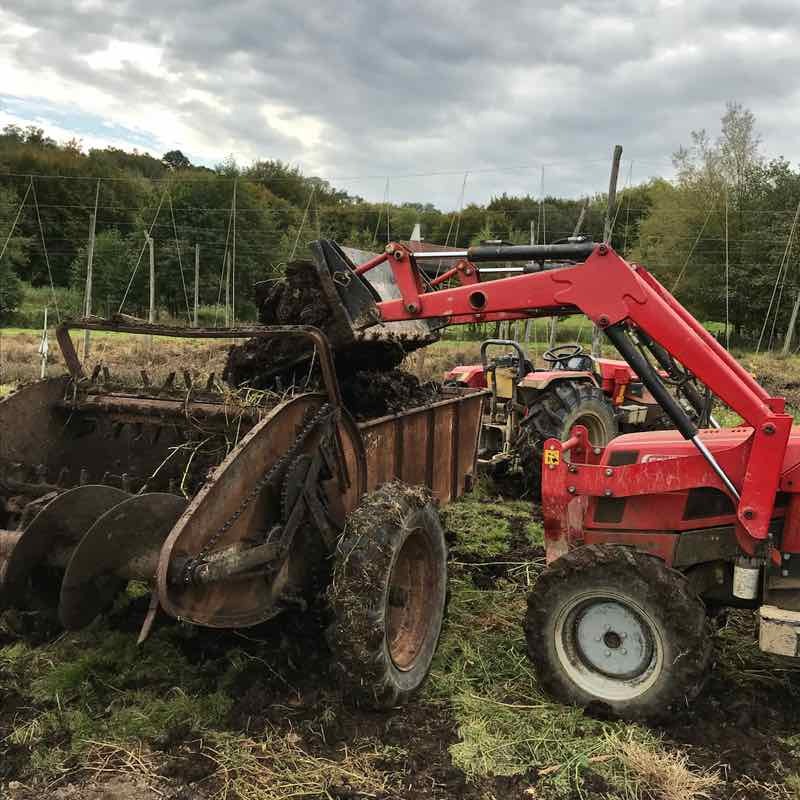 Our Bushel of Hops shop will be reopening very soon with a short update of our 2018 hop harvest.